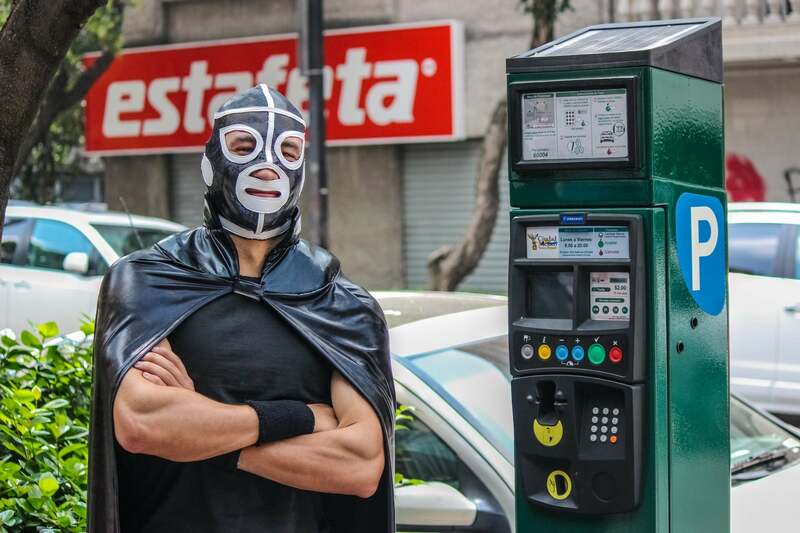 Mexico City’s masked superhero Peatónito (Little Pedestrian) has a mission – zero deaths on the roads. 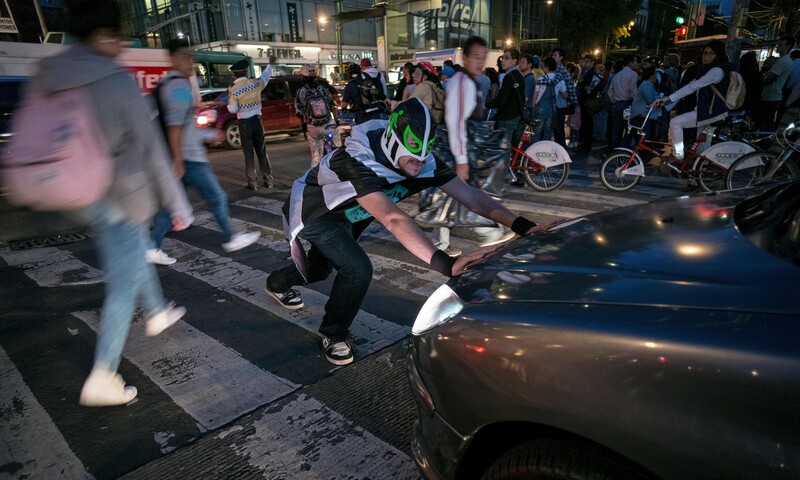 The safe streets crusader is delivering keynotes at Vision Zero Cities 2016 Conference this March in New York as part of the growing movement to put pedestrians before cars. And behind it is Vision Zero, an initiative conceived by Professor Claes Tingvall in Stockholm in 1997. Road safety strategies save lives, but the Swede’s idea about crowdsourced and used data to reduce traffic deaths has become the major player in a growing trend to integrate data collection into cities, media and policing. 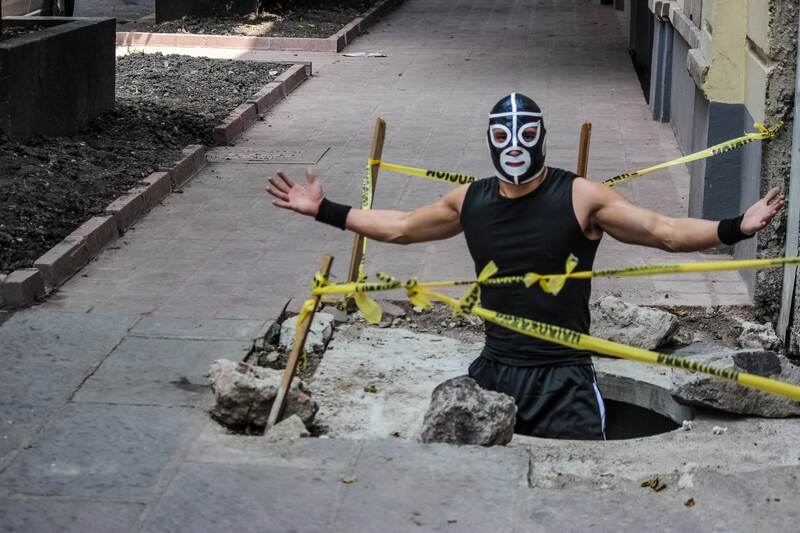 Around 1.25 million people die on the world’s roads every year. Despite improvements in road safety, the high statistic proves that traditional transport systems are designed to prioritise mobility and capacity over safety: “Road traffic fatalities take an unacceptable toll – particularly on poor people in poor countries,” says Dr Margaret Chan, Director-General of the World Health Organisation. Economic growth spurs on car ownership and road use. Countries with the most success in reducing the number of road traffic deaths have achieved this by improving legislation, enforcement and making roads and vehicles safer. Vision Zero is changing that. By recognising that humans make errors, they are holding those responsible for the design of transport systems accountable for accidents and modifying safety law and design: “A mistake in the road traffic environment should not attract the death penalty”, says John Whitelegg, co-founder of Vision Zero UK. Having been written into Swedish law in 1997, the country’s safety record is still the initiative’s best publicity tool with one of the lowest annual death rates in the EU. Vision Zero uses data to predict trouble spots by considering factors such as intersection geometry, pedestrian intervals, speed limits and the number and width of lanes. Infrastructure is then modified, speed limits decreased, speed cameras installed, tougher penalties enforced and the most vulnerable travellers – pedestrians and cyclists – are given priority. Locals can add to a public dialogue map, listing information about the interval time given to cross roads, for example. Tags: Awareness raising, Big data, Campaigns, cities, Communication, Crowdsourcing, Data, Internet of Things, Mapping, New York, Non Profits, Open source, roads, safety, smart, Transport.